As the project “green hydrogen for MPreis Tyrol and Europe” was implemented, Europe’s biggest single stack alkali electrolysis unit was put on the electrical grid of TIWAG. Subsequently, the bakery will be heated by hydrogen and the transport fleet will be changed over to hydrogen vehicles. MPreis, a company operating in the food industry, will become more and more autonomous in terms of energy by using hydrogen. When it comes to one of our main topics, hydrogen regions, the “Zillertalbahn” is the first narrow-gauge railway in the world to be reconstructed and powered by hydrogen. For this unique project, HyWest has to draw on all its skills. Further infrastructural measures like the changeover of busses, snow groomers and also privately-used-vehicles will make this tourist region become known as a “hydrogen region”. This leads us back to our topic “hydrogen families”, which, over the last few years were created at the Green Energy Center Europe by Hyundai Austria and FEN-Systems. The first hydrogen e-car ready to go into production – the Hyundai ix35 Fuel Cell – was sold exclusively to so-called “friendly users”, who now vitalise the hydrogen highways of central Europe from north to south and west to east. This also applies to the new Hyundai NEXO, the follow-up model of the ix35 and a clear improvement on it. The Hyundai NEXO clearly sets new standards in its segment and raises the level of mobility services. Hyundai Motors have also announced a Fuel Cell Electric Truck for heavy traffic, which is certainly a further step into the future. Hyundai Austria wants to continue its rather gentle market launch strategy and, together with the skills of HyWest, contribute to technology and brand competition by “vitalising” the “hydrogen families”. This should lead to a noticeable growth of hydrogen- and e-mobility. The Green Energy Center Europe is prepared for the implementation of various projects. Co-working spaces, seminar rooms, Skype rooms, lounges, advertising kiosks, hydrogen cars and a generally accessible information point are available. HyWest wants to respectfully, responsibly, systematically and methodically support those who intend to use their resources for their own purpose in an efficient way, before others do it or have to do it for them. Numerous people who occupy positions of political responsibility from the federal state of Tyrol and even from the European Union were able to convince themselves that the strategies for the projects “green hydrogen”, “hydrogen regions” and “hydrogen families” are working very well and that progress is made. 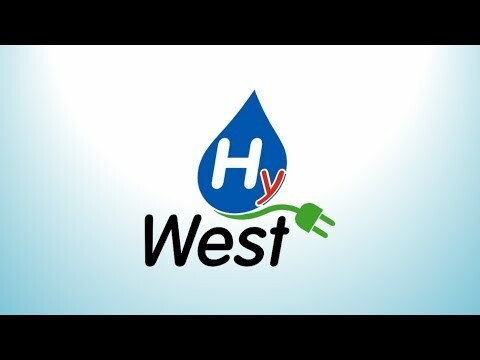 This is another reason for the managers of the newly-founded hydrogen centre HyWest, to implement further projects and to act responsibly for future generations.